During the last six weeks of the 2010 elections, The New York Times, Politico, NPR’s All Things Considered, Bloomberg News, CBS Evening News, ABC News and more than 100 other news media outlets repeatedly referred to one source for information on televised election advertising: The Wesleyan Media Project. Such wide-ranging citation of an academic effort is a remarkable achievement by any standard. Even more intriguing is that The Wesleyan Media Project didn’t formally exist until the last week of September 2010. It didn’t hurt that Fowler and her research colleagues had done this kind of thing before. The Wesleyan Media Project is based on a similar effort created by University of Wisconsin Professor Ken Goldstein. In the late 1990s, Goldstein read about a new ad tracking technology launched by the Campaign Media Analysis Group (CMAG). He forged an academic partnership with the group and in 2000 created what was then known as The Wisconsin Advertising Project. The project focused on televised political advertising in the top 100 media markets and generated data on the advertising spending of candidates, political parties, and outside interest groups. Fowler joined the project as a graduate student at Wisconsin. Her research interests included examining how paid and free media figure into political campaigns and elections. Goldstein’s work fit those interests perfectly. Fowler helped analyze the 2000 dataset to be used in the court challenges surrounding the Bipartisan Campaign Reform Act. She was so good at it, Goldstein later tapped her to direct a new project, the University of Wisconsin NewsLab, which tracked local television news across the country and compared the volume and content of advertising in the news media in corresponding markets throughout the country. Though the Wisconsin Advertising Project quickly became a resource trusted by the news media and the electorate in Wisconsin, Goldstein decided to disband the effort after the 2008 election. But Goldstein wasn’t quite ready to let his creation simply fade away. He offered Fowler and two of her former colleagues from the University of Wisconsin, Travis Ridout and Michael Franz, the opportunity to carry on the project in whatever way they saw fit. The three researchers opted to focus their efforts on creating an entity that provided data and analysis regarding top spenders in every federal and gubernatorial race in the nation. They hoped to launch the as-yet-unnamed project sometime in early to mid-2010, even though Fowler was now at Wesleyan, Franz was on Bowdoin College’s faculty, and Ridout was on the faculty of Washington State University. “Looking back, I don’t know if any of us had a full appreciation of exactly what we were getting into,” Fowler says, with a laugh. “Coding” refers to the analysis performed on the ads themselves. Each is broken down into multi-frame storyboard segments. Fowler, Ridout, Franz, and students look for particular items that have been pre-identified on a coding sheet. These include tone of the ad, its content, type of music, whether voiceovers were done by the candidates or others, if the candidate’s approval came at the ad’s beginning or end, and the inclusion of certain words or phrases. What entity paid for the ad—the candidate, the party, or an interest group—and how much these entities spent placing the ads, is also charted. Access to data for all federal and gubernatorial elections for a single election cycle from CMAG—now known as Kantar/CMAG—costs hundreds of thousands of dollars. Support for students and equipment to handle some of the analysis was also essential. There would also have to be strong institutional support wherever the new venture was housed because of the extensive external communications component required to publicize the data analysis and field the ensuing queries from the news media. Still, the potential was there to create something important: an academic center that could contribute to informed public discourse by providing real-time election advertising research vital to journalists and interested citizens. Fowler met with Donald Moon, then dean of the social sciences and interdisciplinary programs. Moon immediately recognized the value in the program and in Fowler’s leadership. Administrative support in hand, Fowler then worked with Wesleyan’s Office of Corporate and Foundation Relations to secure grants to fund the newly named Wesleyan Media Project. Two organizations soon became interested: The John S. and James L. Knight Foundation, which has a mission to advance journalism in the digital age, and The Sunlight Foundation, a non-partisan non-profit dedicated to making government more transparent and accountable. “By providing real-time information on who is trying to influence the November elections, the project provides journalists, voters, and policymakers with valuable information about the candidates and the interests behind them,” says John Bracken, director of digital media at Knight Foundation. Fowler and her colleagues also received a significant internal commitment from Wesleyan and somewhat smaller funds from Bowdoin and Washington State University. 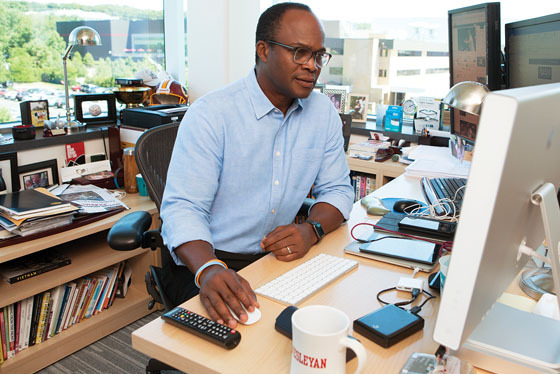 Fowler worked with Wesleyan’s communications office to create a plan to promote the effort to journalists. Together they built a strategy that included targeted media outreach, a Web presence, and a social media component. By August, everything was in place. Everything, that is, but the funding. “Trying to raise several hundred thousand in five months is a tall order. Fortunately, for us, The Sunlight Foundation and The John S. and James L. Knight Foundation really moved quickly, and we couldn’t be more thankful,” Fowler says. The waiting stretched through August and well past the beginning of the new semester. Meanwhile the 2010 election cycle was in full swing. Finally, on Sept. 23, The Wesleyan Media Project was formally announced. Four days later the scholars released their first data set and analysis announcing, among other things, that $219 million had been spent on TV advertising in federal House and Senate races since Jan. 1, 2010. It only took an hour for the first media call to come in. By 6 p.m. that night, Bloomberg News had a story detailing the findings. Fowler says the team examined several thousand ads during the last few weeks of the elections. The structure she, Franz, and Ridout had put in place was working, although the pace and volume of the work became much more frenzied as the election drew closer and the amount of advertising dollars roared toward record-breaking levels. The work she and her colleagues were doing on The Wesleyan Media Project was also helping to inform students in her classes, Campaigns and Elections, and Empirical Methods for Political Science. Meanwhile, with each new analysis released, the interest of the news media grew. Queries were coming from all types of media outlets, ranging from The New York Times, Politico, and ABC News to small regional newspapers with circulation under 10,000. Immediately following the release of new information, the researchers were receiving upwards of 50 reporter queries per day. And come they did. 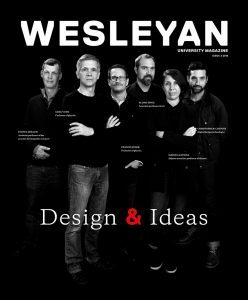 By the day after the election, The Wesleyan Media Project had been cited in more than 400 major media stories in print, on the Web, and on radio and television. Media attention continued into mid-December. For issues such as proliferation of negative ads, the mention of China in ads, and the identification of the biggest outside spenders, The Wesleyan Media Project was often playing a role in driving the coverage. By late October, Fowler and her colleagues were able to show that the 2010 election cycle produced the highest volume of negative ads ever seen in federal and gubernatorial campaigning. But beyond “tonnage,” the researchers were also able to provide insights into the content of those ads. Specifically, the majority of Democratic-leaning negative ads attacked their Republican opponents’ personal attributes and character, while most Republican-leaning attack ads went after the policies of Democratic candidates. “That analysis probably got as much play by the news media as anything we released,” Fowler says. The Wesleyan Media Project also generated data showing that, at least in this election cycle, the Supreme Court’s Citizens United decision may not have had the dramatic and immediate effect that was predicted. Fowler says she and her colleagues do expect interest group spending to rise in 2012, however. They also plan to expand their analysis to YouTube ads and perform more specific analysis of voiceovers; specifically, how ads are affected by the gender of the voiceover used. Of course before any of that can happen, Fowler, Franz, and Ridout still need to secure funding support for the next election cycle.